Started to take part at various competitions since 2009. Awards: 1st place in Bogatynia 2009 year. Award at the competition “Mushrooms”, 2009. Award at the contest “Petroleum and gas”, Gorlice 2009. Special prize at the “Satyricon 2009” Legnica. 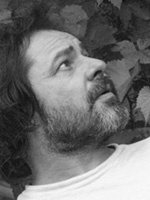 His works were published in the magazines “Cats”, “Fakty I Mity”, “My Dog”.